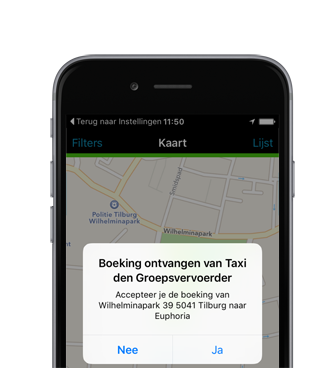 The dispatch app has been developed for smaller taxi companies whose headquarters aren’t permanently manned. This tool easily raises your quality of service to a higher level. It ensures that you can quickly divide your rides, resulting in short waiting periods for your clients. All incoming ride requests are shown in one overview. If you want to assign a ride request to a different driver, all it takes is the press of a button. Your colleague will receive the ride request and all relevant details and can either accept or decline it. You can see the location of your colleagues on a full-screen map and easily check the details of a driver and vehicle. Cabman Mobile Dispatch is available for iOS and Android. This app can be downloaded from the App Store and Google Play Store. You can use your Cabman Online account to log in to our mobile apps. 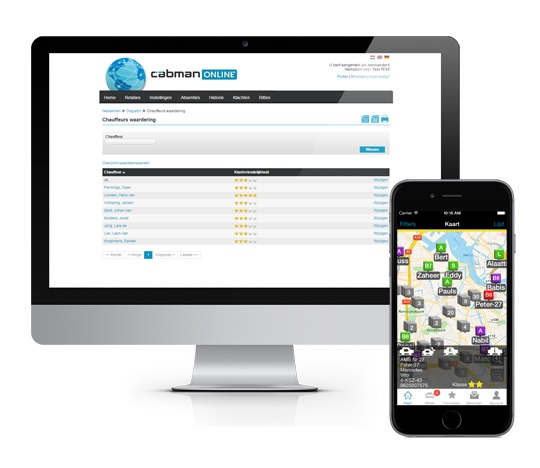 Through Cabman Online you can link evaluations to the dispatch app. For example, you can add evaluations for language, customer-friendliness, tidiness of the vehicle, etc. The evaluations are all listed in the driver overview.